For the winter 2015-2016 Wyssen Norge AS has carried out the Wyssen Risk Solutions concept for the first time in two projects for local avalanche forecasting as a sub-contractor to the company Skred AS. The projects are located in Sørfjorden, Nordland and in Romarheimsdalen, Hordaland. When providing services for local avalanche forecasting, experienced personneldd, good procedures, relevant and accurate weather and snow data and good documentation is necessary. 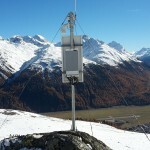 Therefore, the companies Wyssen Avalanche Control and AlpSolut have created a platform to ensure that all procedures are followed every day and that all data and decisions is quality checked and documented. The platform is based on the ISO 31 000 standard for risk management. One of the projects is carried out to protect workers and equipment at the construction site of a hydro power plant being built in Norland. The second one is at a construction site where a protection dam is being built at the highway E39 after glide snow avalanche has hit the road and buried 2 cars in spring 2015. To reduce the risk of working on the site during the winter time and to avoid any unnecessary closures, Skred AS in collaboration with Wyssen Norge as a sub-contractor, was hired to provide a daily avalanche forecast. The forecast is being published daily. The service has helped the client to have the required progress and at the same time be able to ensure the safety of the people working on the site.